These days, just about every business rely on a computer network system for its day-to-day operation. The cash flow and inventory are just two key areas that require close monitoring, and a business can only realize this by investing in a properly functioning network. Photos are definitely items that are worthy to be treasured. They are basically memories and pieces of the past that have been preserved. It is because of pictures that people could know and remember about the things that have occurred. In the past several years, photos are usually kept in photo albums. Network security is a very important thing especially when running a small business. Though network security is a very complicated topic, it is advisable for businessmen to be aware of how they could improve this area in their business. There are various types of threats lurking about and most businessmen do not know about this. If it turns out that you have recently found yourself caught up in a situation where you are going to need to find a good way to buy a good IT support system then there might be a number of things on your mind at this point in time. If you have never actually gotten around to hiring a service like this in the past then you might not have the slightest clue about where to start, and the reality is that there are a few decent options available to you in most cases. It can certainly take a while for you to find the very best IT support around and if this is a service that you have been trying to find for a long time already then you may be interested in learning a bit more about the topic. Armed with all of the information you could ever need to help you seek out quality deals on IT support you will find it so much easier to make a well informed decision, which will go on to make your life a whole lot easier in this area. If your company is in need of IT support, it will be definitely be important to make sure that you hire the right people for the job. Those businesses that are looking for a new IT support company to contract for these services will need to make an effort to find the best possible one to match their needs, whatever they happen to be. In the Bay Area you will have quite a few options when it comes to companies that can provide your company with IT services, but it will be crucial to make certain that you select the right one overall. When you are trying to make the best possible decision on one of these companies, it will be necessary to see how much experience each one has in this industry. If you take the time to learn a bit more about IT support it will not be long before you are able to find some really good companies out there that would be able to help you fix any network issues that come up. Without a good support company it is quite likely that you could suffer net loss of profits in your business so it makes sens to do everything you can to find a great company that would help you out in every possible way. 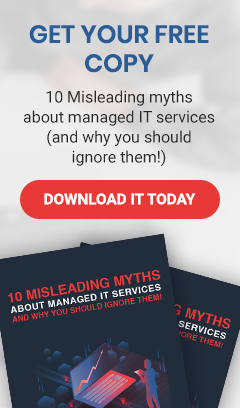 There are definitely a lot of companies around the world that could really use some better IT support when they find themselves in situations like network crashes and other system failures that demand a high level of technical skill. Taking the time to learn a bit more about all of the things that go into good IT support will help you to make the right decision when it comes time to buy this stuff in the future and with all of the options available to you it is clear that a closer look at IT support in general will be helpful.